Several months ago, Book Worm and I tried to make our way through the 2015 Man Booker Longlist books. Book Worm finished Did You Ever Have a Family a while ago and has been patiently waiting on me so we could post a joint review. Now I’m done. Find out what we both thought about his book and let us know what you thought. Synopsis (from Amazon): On the eve of her daughter’s wedding, June Reid’s life is completely devastated when a shocking disaster takes the lives of her daughter, her daughter’s fiancé, her ex-husband, and her boyfriend, Luke—her entire family, all gone in a moment. And June is the only survivor. I gave the book average marks for originality because I would classify it as a family saga and it seems like at least half of the books on the long list were family sagas. I liked the changing narrators — each one revealing a little more of the mystery surrounding the explosion, revealing how that character had ended up where they were when the novel opened. I also loved the small town background and the way that no one would let the truth get in the way of a good story. I awarded full marks for character complexity as each one was fully rounded, realistic and flawed. I awarded full marks for writing quality as the author wrote convincingly from both male and female perspectives and managed to convey the joy of being in love as well as the grief of losing those closest to you, and not just through death. Need I mention that I cried several times while reading? This may not be an award winner but that doesn’t stop it being a great read. This book was the featured book in my last Indiespendables box (you can read about that service here). I regret that it took me so long to get to because when I finally began, I enjoyed it so much that I finished it in a day. How do you go on living after an event leaves you alone and devastated? Did you Ever Have a Family is a wonderful book that tries to answer that question through the use of multiple narrators. Each one contribute small pieces to the puzzle behind what happened on that fateful night. As mentioned in the synopsis above, a fire breaks out in June’s house killing her boyfriend, ex-husband, daughter, and daughter’s fiancee on the day before her daughter’s wedding (this is not a spoiler as it happens in the first chapter). Each character shares details that slowly come together to reveal a full picture that is full of heartache but, at the same time, inspires hope. Like Book Worm, I really liked this novel. The topic is a dramatic one, but Clegg writes with such restraint that the story shines through in a subtle and undramatic way. This is not a book that constantly hits you over the head with the tragedy but rather unfolds in a way that leaves you emotionally impacted in a very deep way. I want to take a few minutes to contrast Clegg’s approach in this story to Yanagihara’s approach in A Little Life. I loved a Little Life (you can read my review here) but fully acknowledge that Yanagihara’s novel repeatedly hits you over the head with trauma after trauma in a way that, at times, feels emotionally manipulative. In contrast, Clegg’s book has a trauma (albeit of a very different nature) but rather than making you repeatedly relive it, Clegg slowly draws you in to a story that ultimately is about the characters. Whereas A Little Life is about how life can’t recover from certain things, Did you Ever Have a Family suggests that people can recover from trauma. Both books made me cry but in different ways. I sobbed like a hysterical lunatic when reading A Little Life. I cried quietly and reflectively when reading Did you Ever Have a Family. 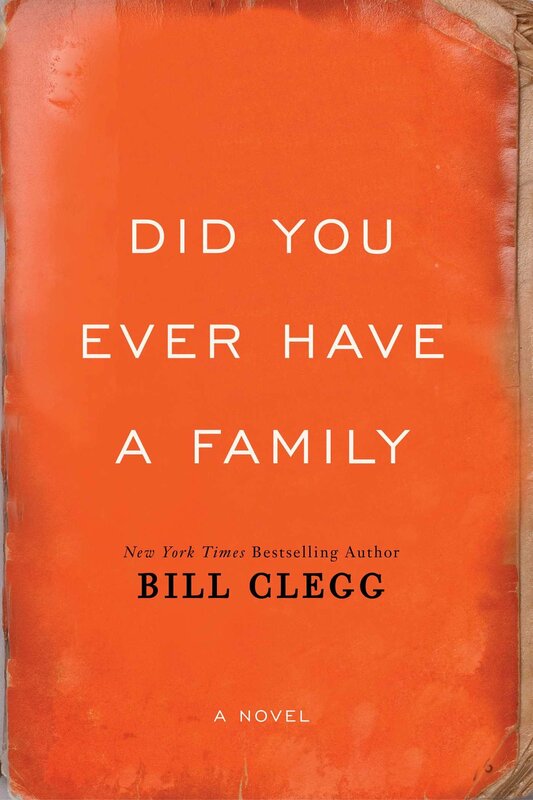 Clegg’s novel made me think about my own family and made me feel appreciative for the little moments in life that we all have together. As Book Worm mentioned above, character development is wonderful in this novel. Clegg illustrates the complexity of people, highlighting their good and bad qualities. Through use of multiple narrators we see how events are perceived differently from a variety of viewpoints and us such we are better able to empathize with the central characters. ← Scavenger Hunt Challenge Update: Join the challenge! Now higher up on my TBR, and I’m really looking forward to it! I liked this book but I agree with Book Worm that it doesn’t score full marks for originality. I think I might have preferred it if there hadn’t been so many character perspectives too.